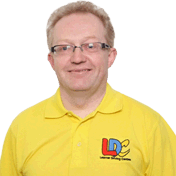 Hi I'm Steve, I am a fully qualified Government Approved Driving Instructor (ADI) and I am passionate about driving and road safety. I became a driving instructor because I wanted a job with real satisfaction and I was also always being told by family and friends that I was a calm and relaxed type of person and that I would make a great Driving Instructor. I am a long-term resident of the Sevenoaks & Tunbridge Wells areas, where my wife & I have raised our two sons who are now at University. The youngest was nicknamed Lenny hence the name of my school. I know these areas well and how to find the roads that are just right for you to practice. I have trained and worked with LDC since qualifying as an Instructor, and I believe that their training techniques and materials greatly aid today's learner no matter what age in passing their test and understanding all there is to know about driving for life. As everybody is different the unique LD System allows for flexibility in lessons, enabling you to learn to drive safely at a rate that suits you. Lessons are always conducted in a calm, friendly and relaxed manner to make pupils feel at ease during lessons. I aim to make every lesson enjoyable and as productive as possible. The LD System just helps me to do this more effectively. I hope this gives you a brief insight into who I am, on both a professional and personal level, so feel free to click here to "Contact me"